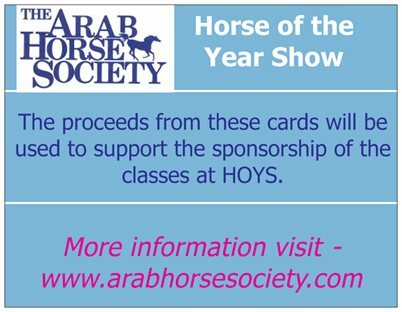 There are many Arab Horse Society affiliated shows at which Pure bred, Part bred and Anglo Arab horses may be exhibited in ridden and in-hand classes. Some of these shows are also ECAHO affiliated and some are qualifiers for the Horse of the Year Show. 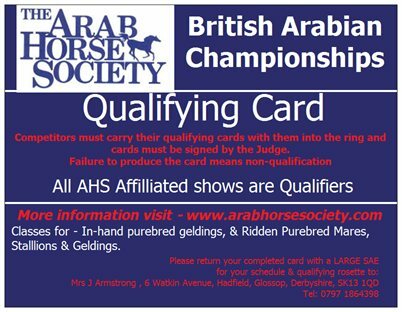 The Society itself stages the National Championship Show at Malvern and the British Arabian Championship Show. The Marathon is also organised by the Society and has its own Committee.